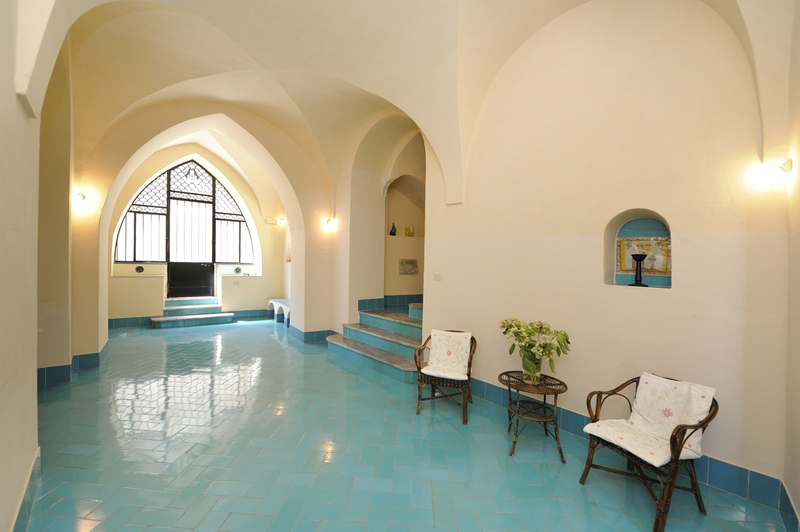 With stunning sea views from its verdant garden and wide terraces, this magnificent, historical property is well positioned, elegantly furnished and unique. 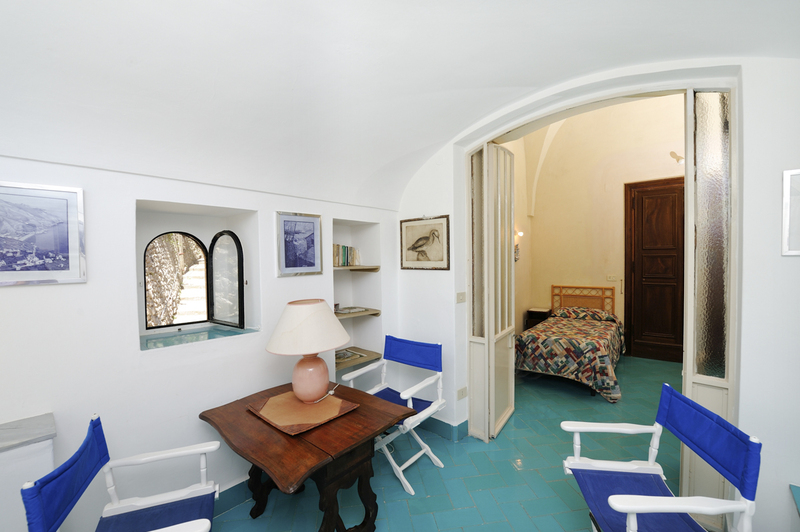 Originally a 12th-century church, Villa Papice was converted in the 1930’s then updated for 21st century living to include modern comforts, making it a very special base for exploring this alluring part of Amalfi Coast. 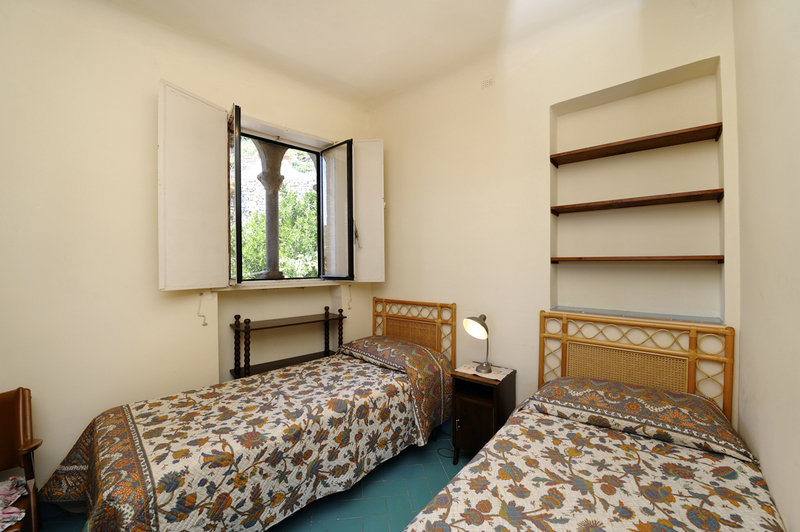 Ideal for a group of friends or extended family, the villa comfortably takes up to nine guests in five bedrooms, each with their own bathroom. 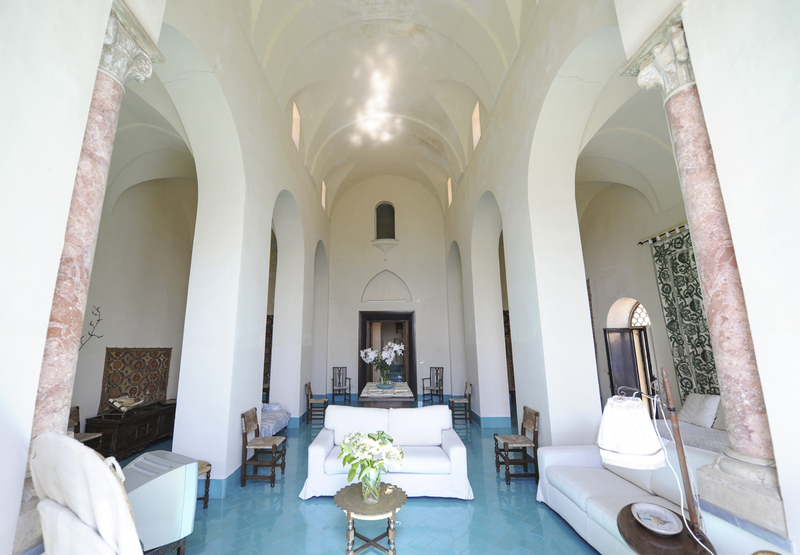 A three-storey structure with high, vaulted ceilings, marble columns and tall, arched windows, the living space feels palatial and light filled. 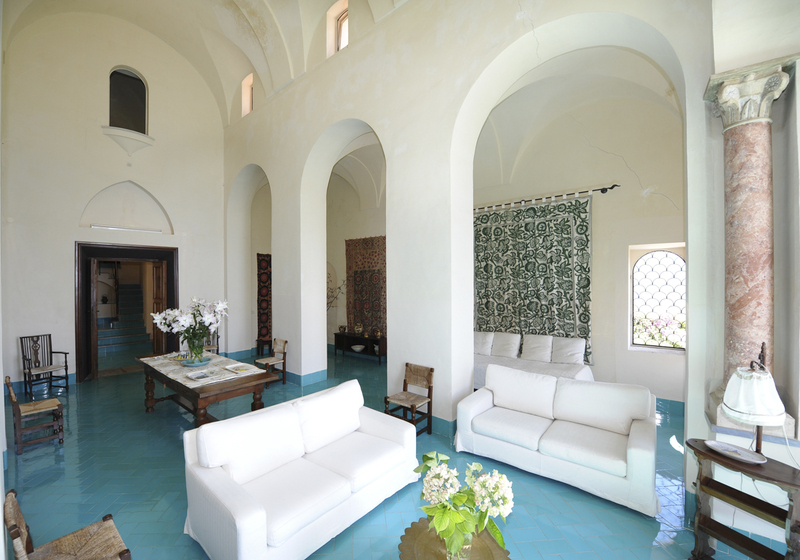 Making the best of the sea views and gardens, french windows lead out from the magnificent turquoise tiled living room and modern kitchen to inviting sitting areas for dining or relaxing. Whether you gather for evening drinks, long summer meals or a morning coffee, the setting is unforgettable. The lush, tiered garden provides shaded spots between citrus trees to sit back on a deck chair and enjoy the view. 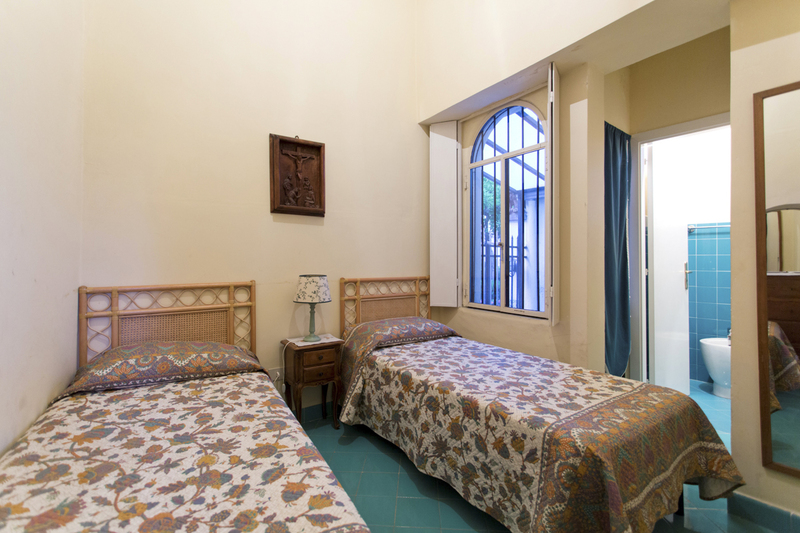 Stretching across the Gulf of Salerno to the beaches of Maiori and Minori on the Amalfi coast and islands on the horizon, it is a good spot to plan sight-seeing or enjoy a siesta. 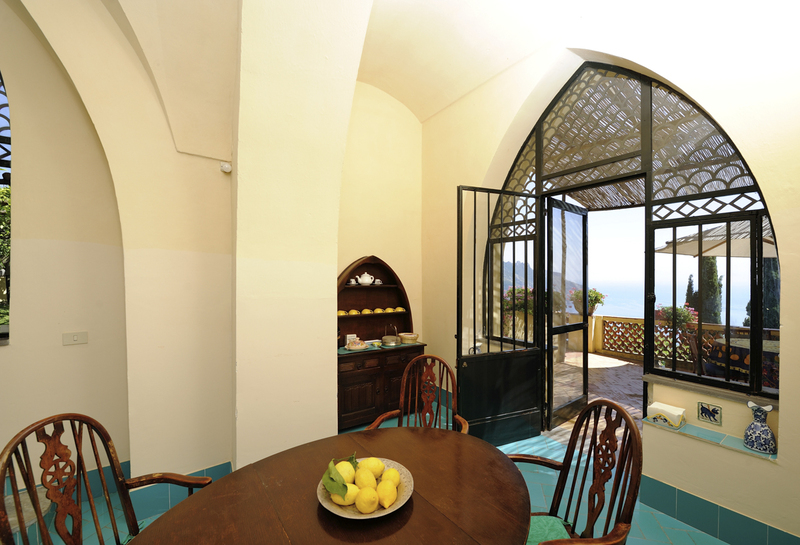 For a taste of authentic Southern Italian cuisine in the intimate setting of the villa, a cook service can be arranged or you. Alternatively, budding chefs in the group will enjoy preparing wonderful summer meals using the freshest produce sourced locally, from seafood dishes, fresh pasta and creamy buffalo mozzarella to citrus cocktails using fruit picked in the garden. 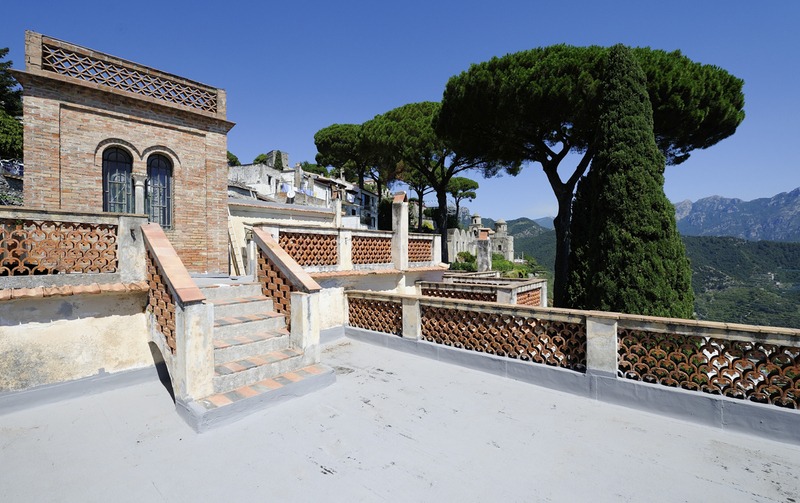 Within striking distance of the pedestrianised centre of Ravello, restaurants, shops and the sights can be reached on foot. 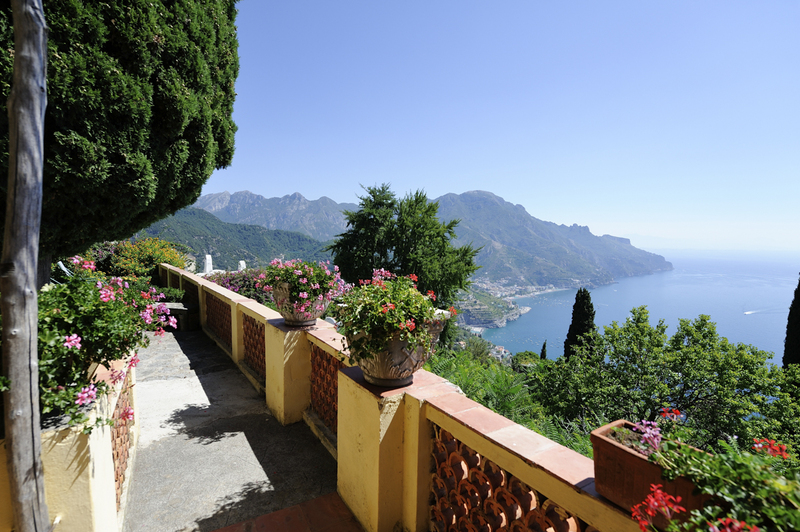 Head down to the coast for a choice of beaches, coastal buzz and boats to the stunning island of Capri or vibrant Naples. 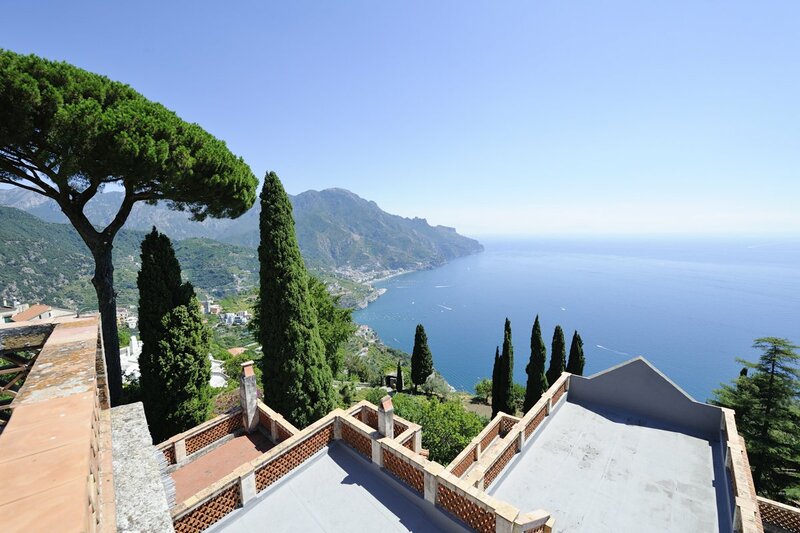 Villa Papice is situated in the charming town of Ravello, famous for its incredible mountaintop setting, historic gardens and achingly beautiful views down to the sea below. 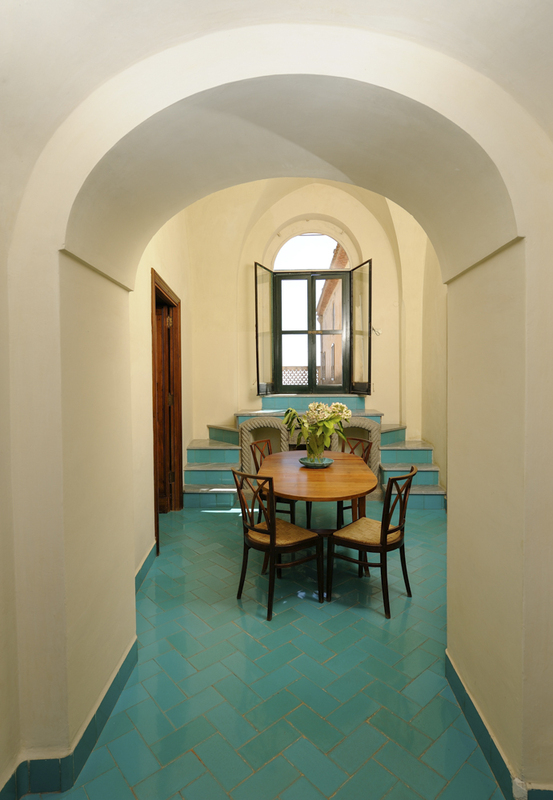 One of the best things about Villa Papice its central location, so you can leave the car behind while you take in the sights or go out for an evening drink, coffee or gelato. 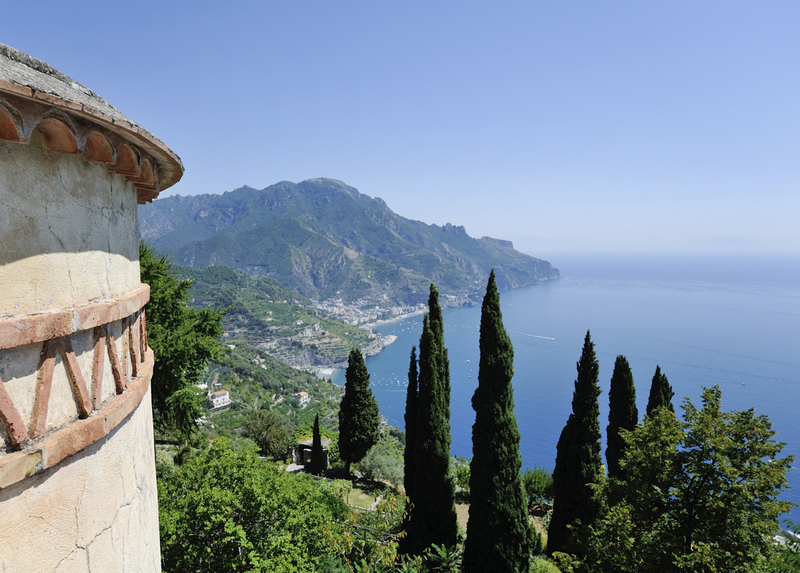 Stroll through Ravello’s pretty traffic-free streets for a choice of restaurants, pizzerias, ceramic shops, boutiques and the impressive central piazza with its magnificent 11th-century cathedral. For an evening to remember, the stunning cliffside Villa Rufolo is the place to enjoy an open-air classical concert in the summer. 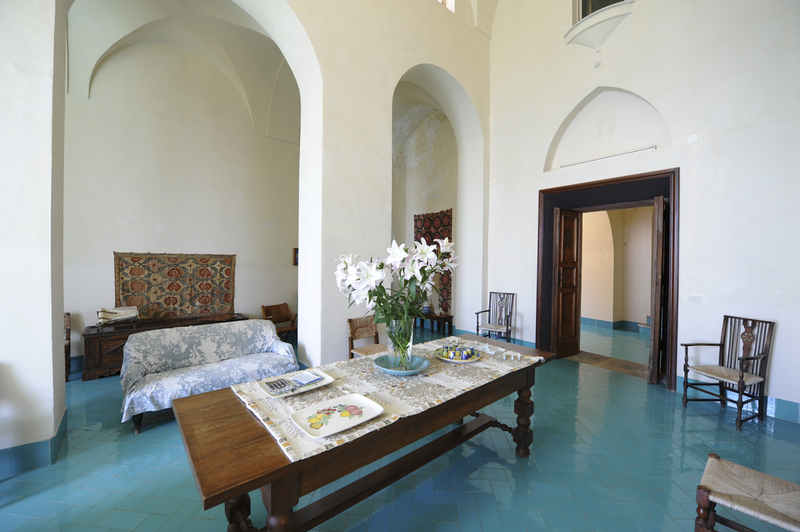 By day, marvel at the 13th-century tower there, now an art gallery, or purely take in the colourful, luxuriant garden with its romantic towers, statues and panoramic sea views. 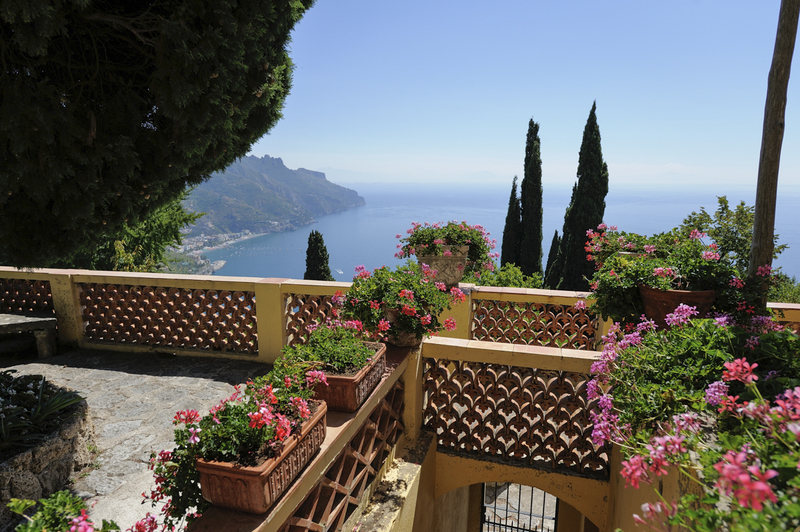 The best views in Ravello are said to be from the terrace of Villa Cimbrone, an 11th-century palazzo, well worth the uphill walk there from the main piazza. 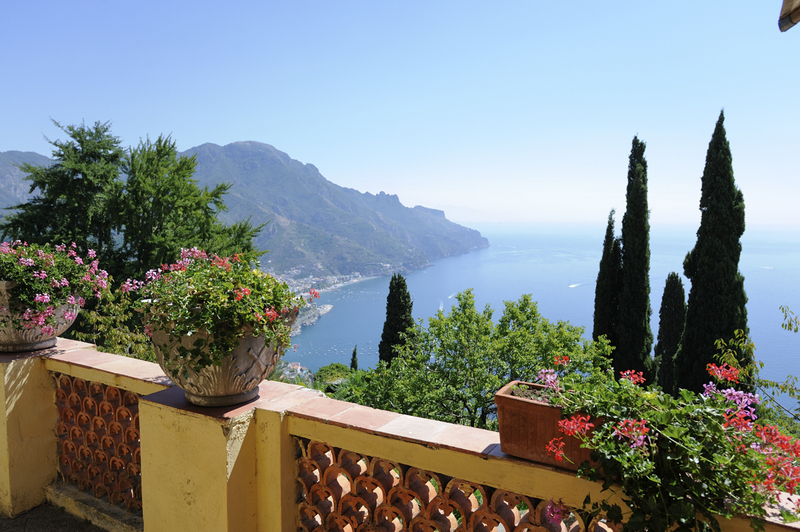 A series of gorgeous sandy and pebbly beaches are tucked along the dramatic coastline below Ravello, each one unique in size and style. 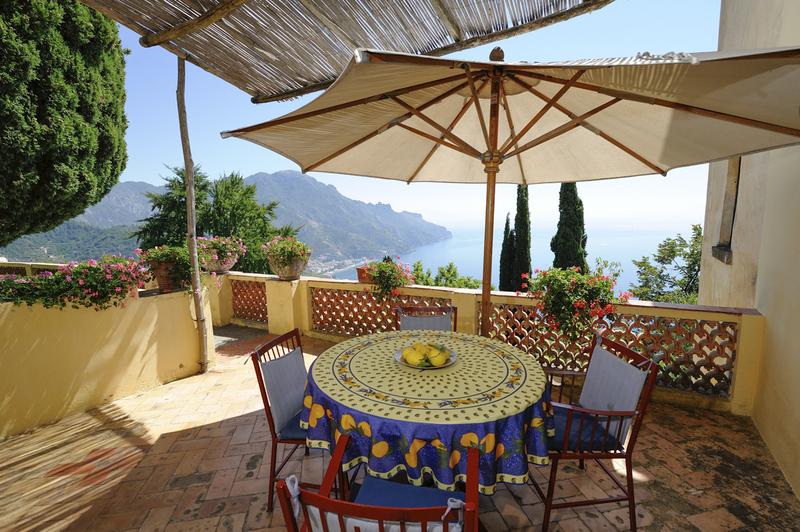 Head down to Ravello’s beach for an invigorating swim and relaxing stretch under a parasol. For those with children, choose the beaches of Maiori and Minori further along the coast for easier access, long sandy stretches of sand and friendly beach restaurants. It is the picturesque coastal town of Positano which hold a timeless appeal, so take a 30-min boat trip there from nearby Amalfi, just a short drive away from Villa Papice. Further along the coast towards Naples, Mount Vesuvius looms with the fascinating archaeological sites of Pompei and Herculaneum in its shadow. Pompeii requires a full day (and plenty of cooling drinks in the heat of the summer.) This ancient preserved town has been crystallised in time; the statues are a sobering and unforgettable sight. 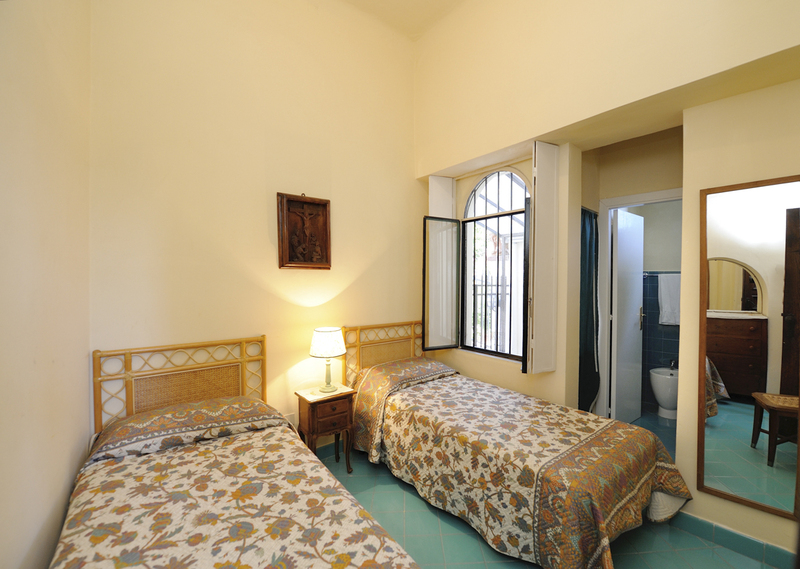 Naples itself is buzzing and bustling working city. 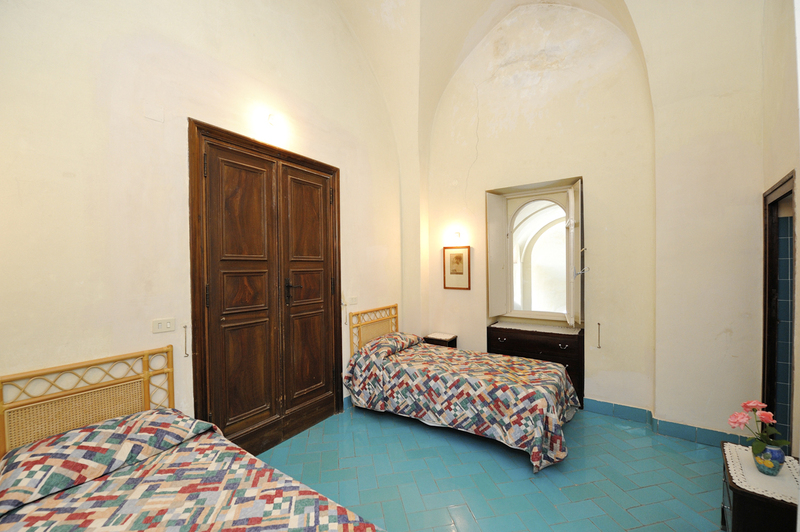 The markets, the narrow streets with their outdoor washing lines and cobbled alleyways offer a true taste of southern Italian colour and life, along with plenty of history, beautiful churches and allegedly the best pizza Italy has to offer. 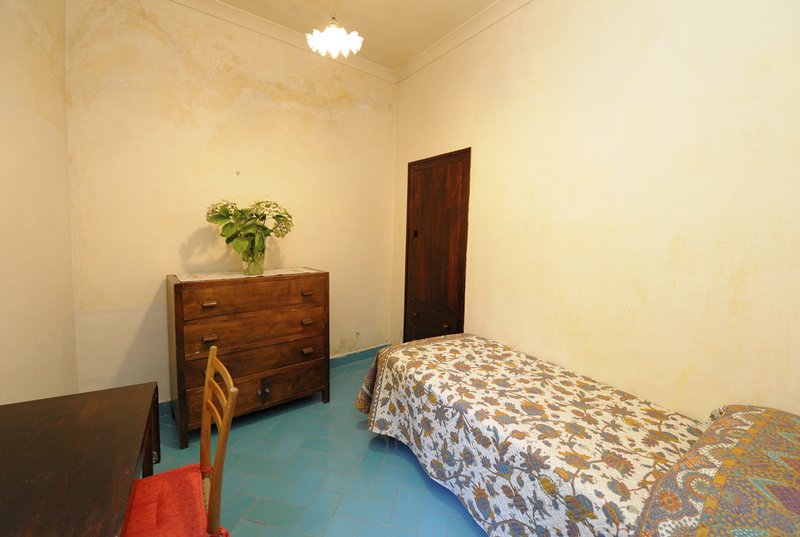 Whether it be hiking, fine cuisine or historical sites, this part of Italy offers opportunity in abundance.